Remember that bogus report from the Texas state government last month about 95,000 non-citizens on the voting rolls? That was three weeks ago and now the state official responsible, Secretary of State David Whitley, is having to apologize for it to the state’s Republican-dominated Senate. I’m not sure about the legalities of this. But it seems kind of remarkable. 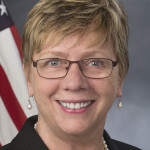 Federal Labor Relations Authority Chairwoman Colleen Duffy Kiko has announced that she’s decertifying the authority’s own union. In other words, she’s firing the agency’s union.